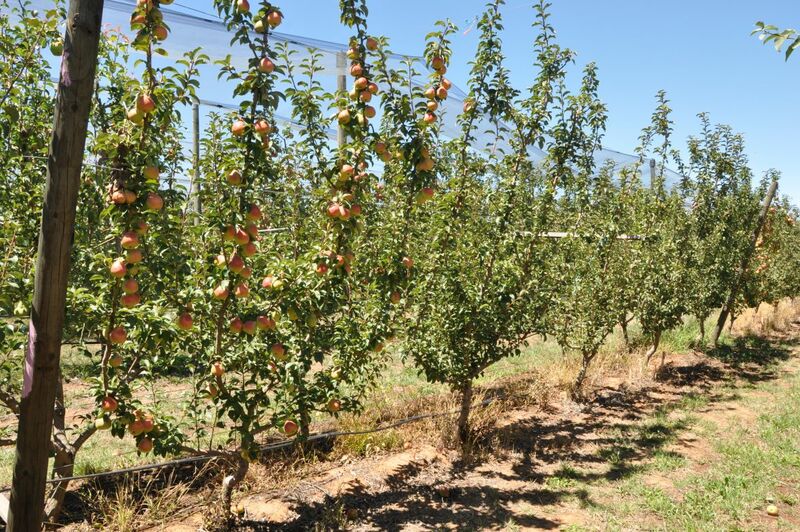 Yield tended to be highest in the ‘High’ and ‘Ultra-High’ density Open Tatura trellis (on D6 and QA rootstocks) attributed to fruit size. 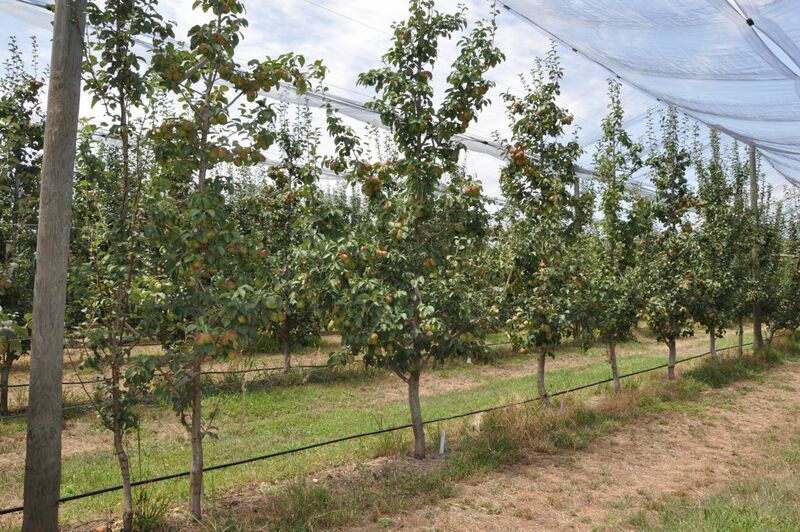 More intensive tree management may be required to ensure adequate colour development in Open Tatura systems. 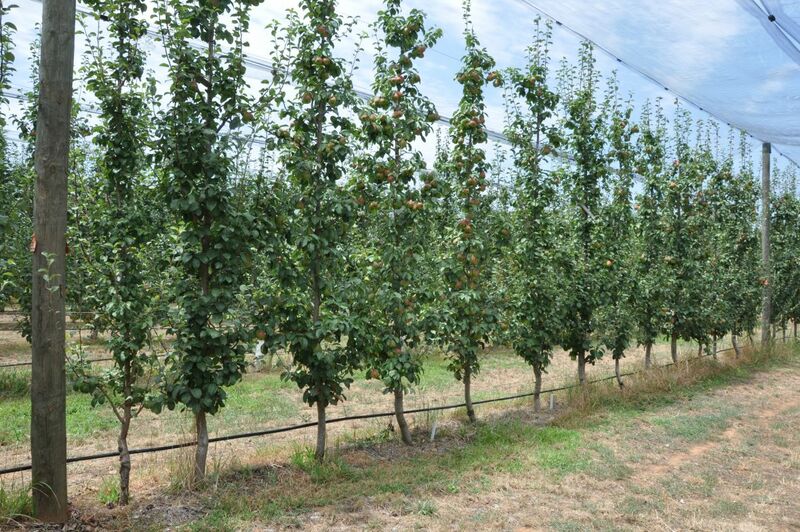 Growers seeking to maximize yield should consider high density (~ 2200 trees/ha) plantings on D6, or Quince A rootstocks (with Beurre Hardy interstems). 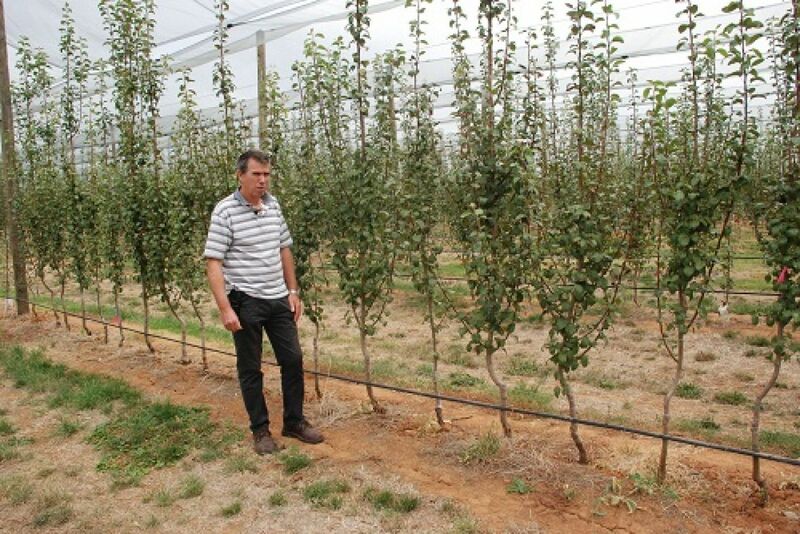 There was no yield benefit from increasing tree density from ‘High’ to ‘Ultra-High’ (~4400 trees/ha), consistent with predictions from economic modelling. 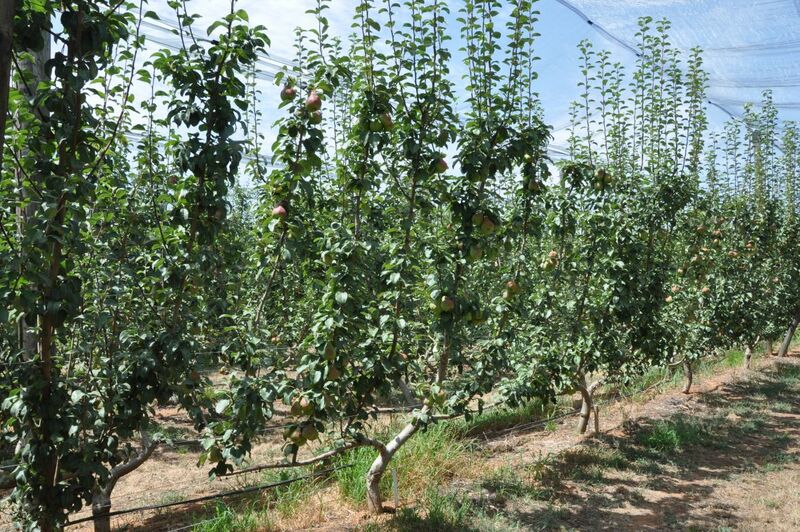 For growers wishing to remain with moderate planting densities (~1100 – 1400 trees/ha), D6 is so far the most attractive rootstock option with moderate crop loads and good fruit size resulting in maximum total yields and pack-out as trees approach maturity. 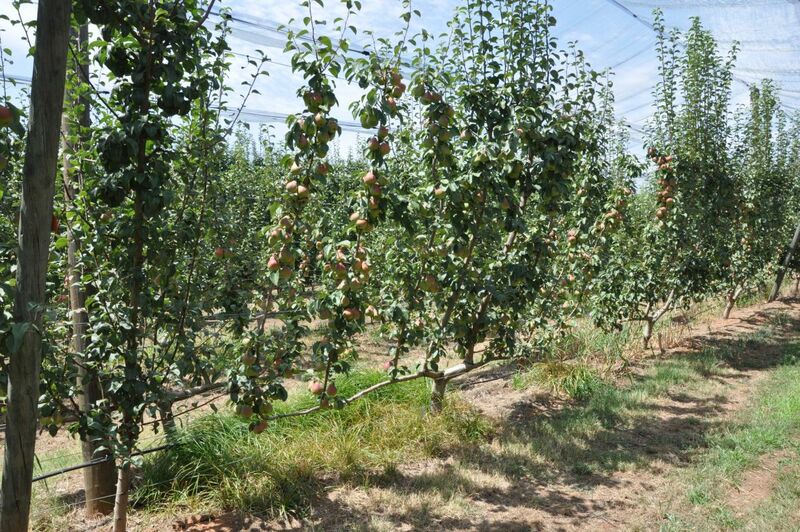 By contrast, in low density planting systems (~700 – 1100 trees/ha), crop load and fruit size of trees on QA rootstocks in fifth-leaf was sufficient to maximize total yield and pack-out yield while avoiding oversizing of fruit. 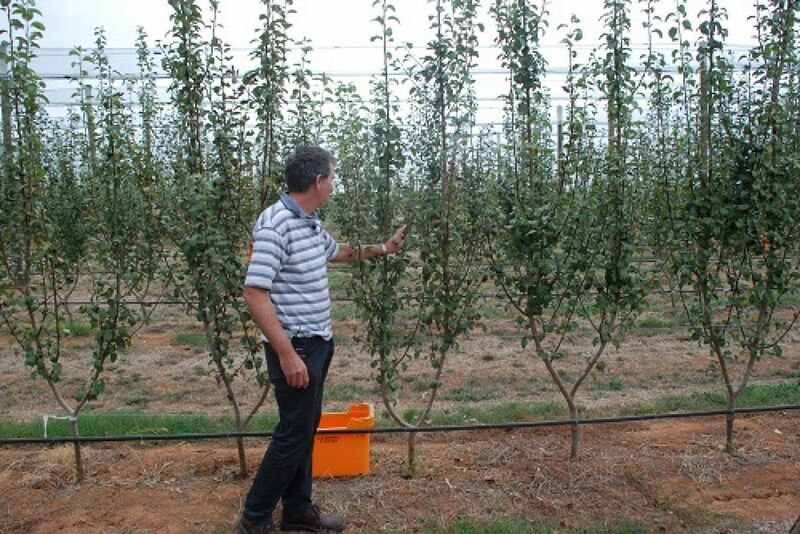 Pictures of high density plantings on rootstock D6, and Quince A with Beurre Hardy interstems. 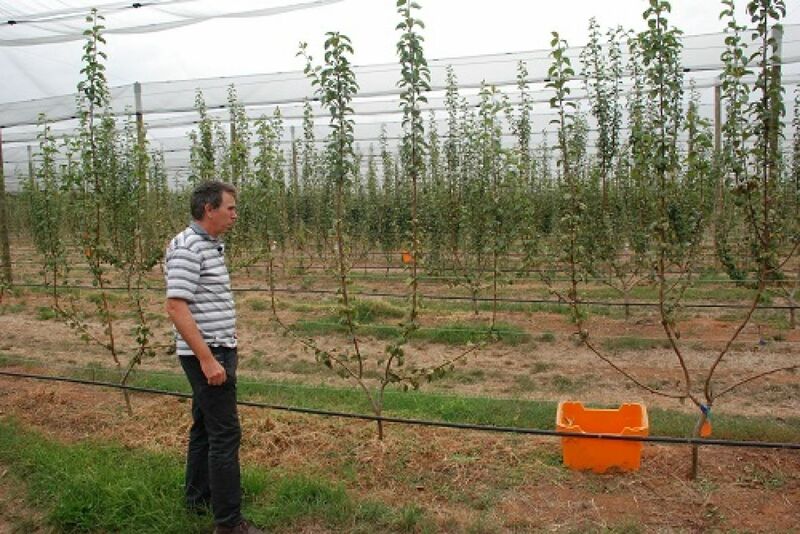 In the planting systems experiment, an extensive range of training systems and tree densities for 3 rootstocks are being compared. 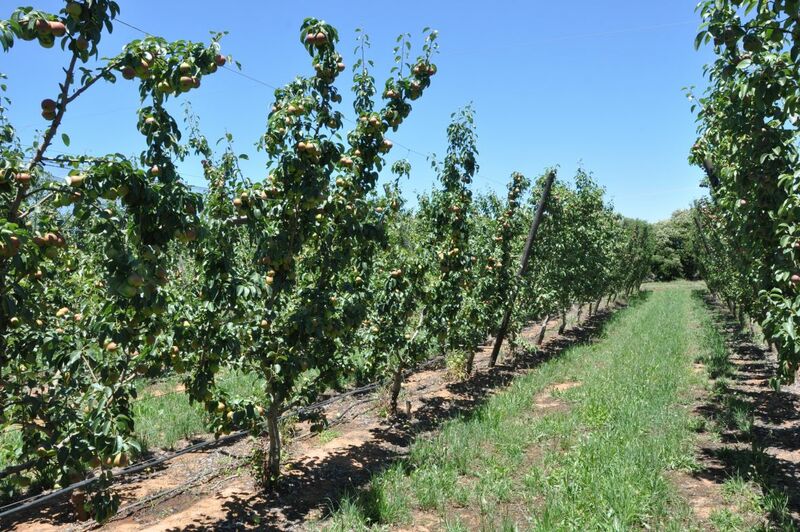 Trees are grafted to rootstocks D6, BP1 and Quince A (with Beurre Hardy interstem) and planted at densities ranging from 741 to 4444 trees per ha. 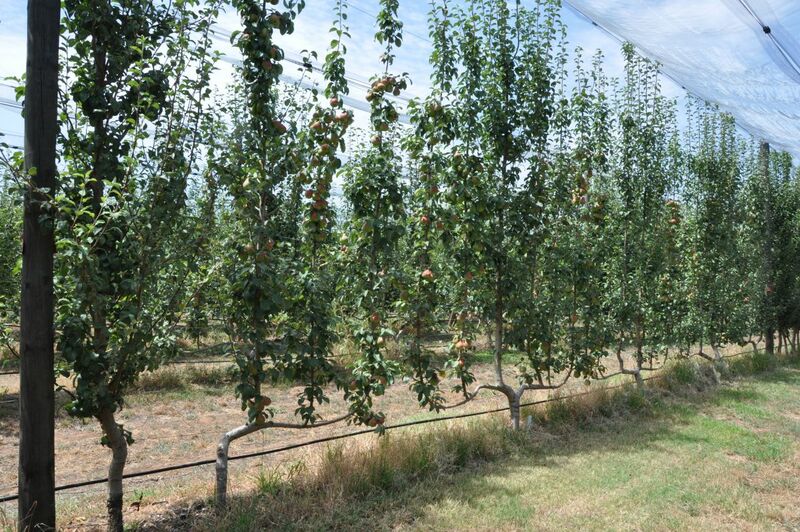 The trees are trained as multi-leader trees (2, 4, 6 or 8 leaders) on Open Tatura trellis, single or multi-leader trees (2, 4 or 6 leaders) in vertical hedgerows, freestanding central leader systems or as a vase (the control treatment). 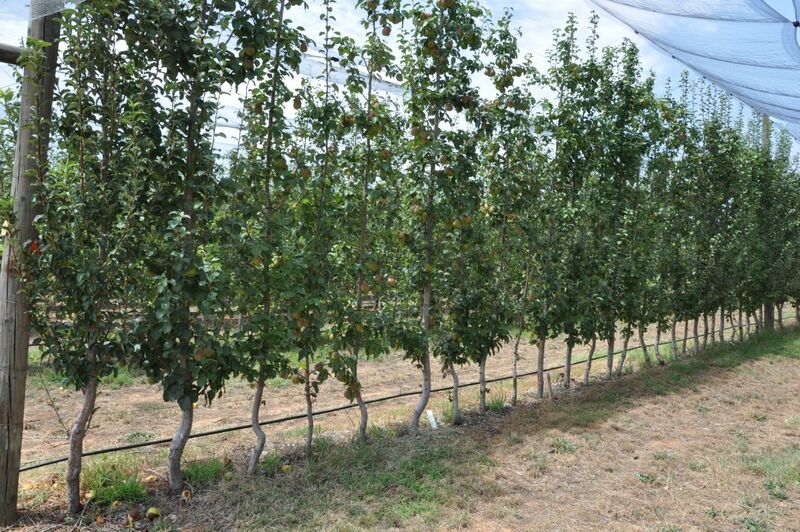 Canopy architecture is an important consideration when designing training systems. 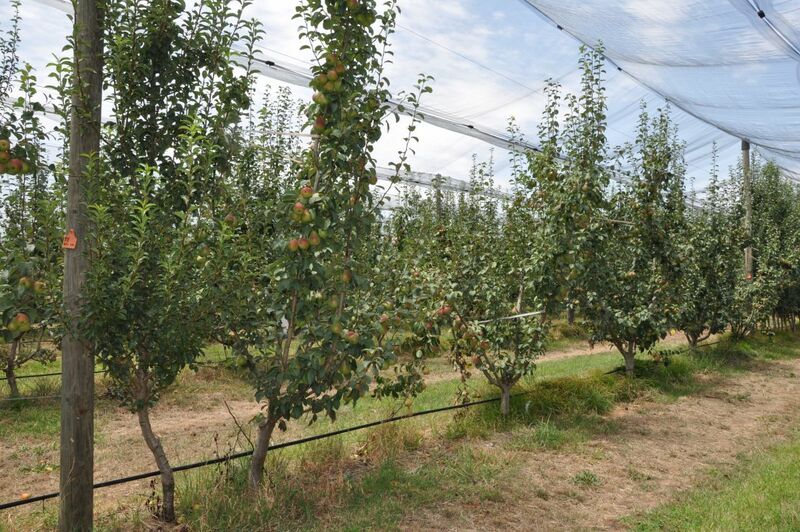 Light interception should be maximised to optimise yield potential while avoiding excessive internal shading or over-exposure of fruit that can compromise yield and fruit quality. 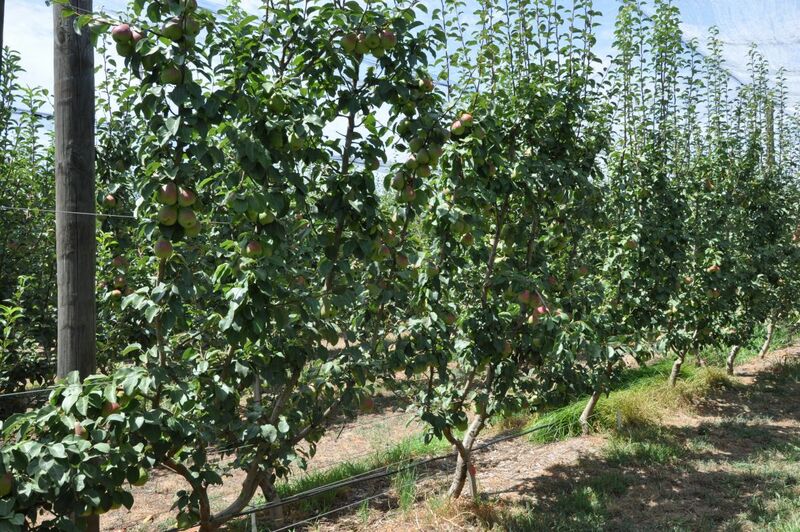 Choice of training system may prove to be particularly important to ensure good colour development of the 'red blush' characteristic of the new pears and avoid sunburn. 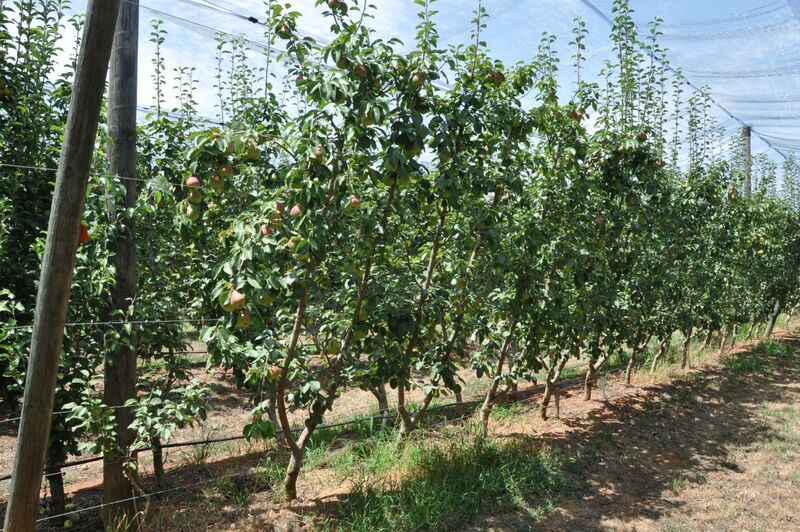 Canopy light interception, internal canopy light characteristics, yield and fruit quality are examined in the Planting System and Rootstock experiments. 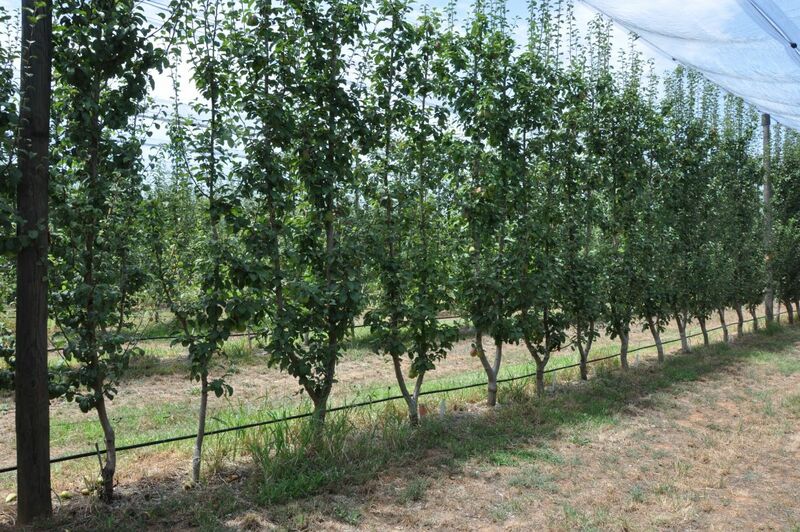 The data will be used to validate a light interception model so that the effects of alternative training systems, row orientations and tree densities can be simulated. 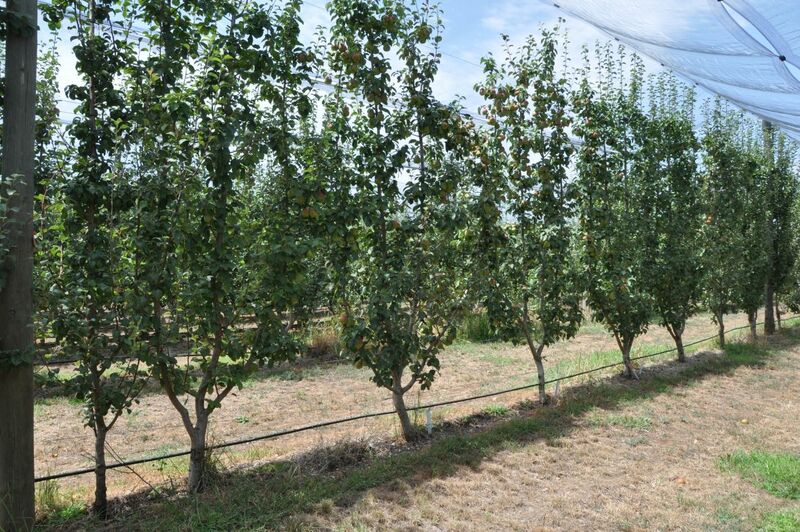 Table 1. tree training and tee density treatments in the Planting Systems experiment. 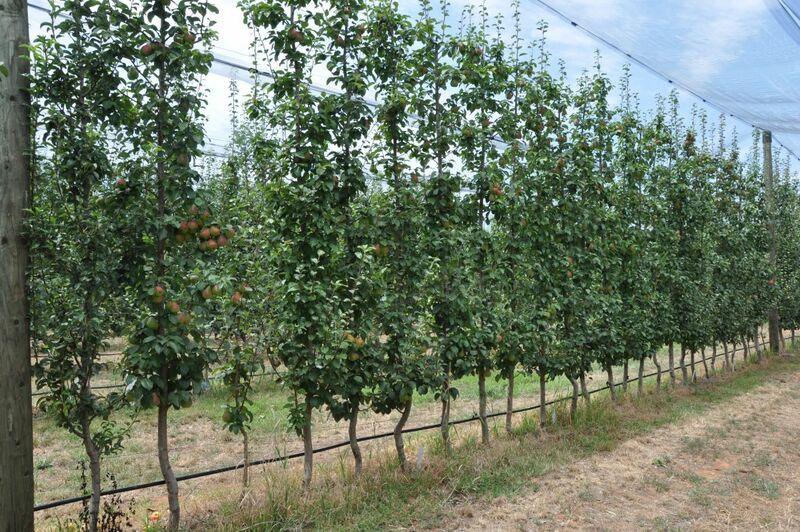 Each of these has the 3 rootstocks. 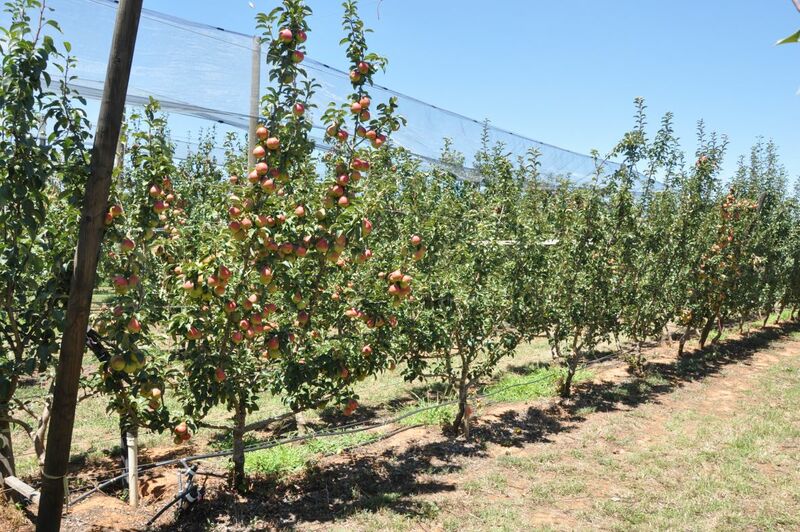 Tatura trellis systems are commonly reported to produce high yields due to increased light interception. 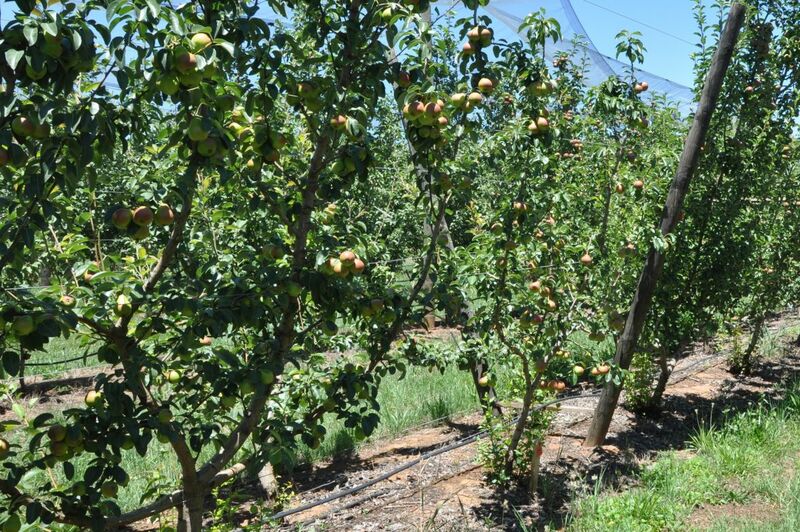 However, yields are not always significantly improved compared to alternative systems. 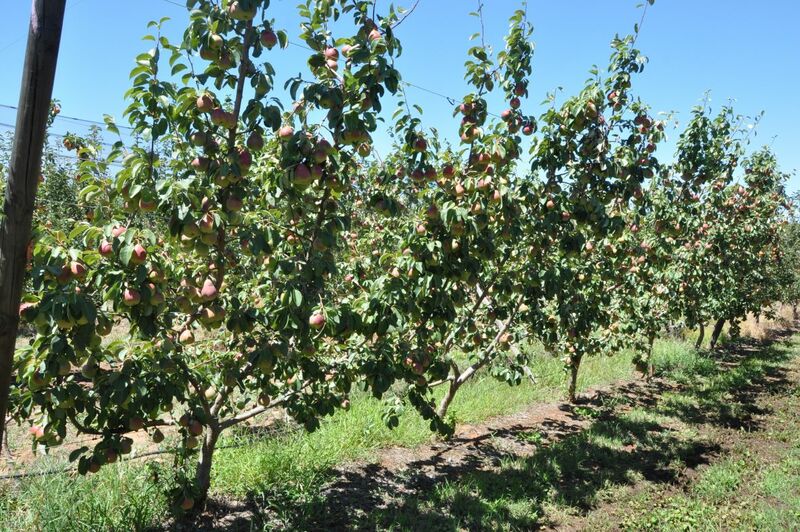 For example, 'Golden Russet Bosc' pears planted at low density (797 trees/ha) in parallel hedgerows (palmette) produced similar yields to those planted at medium density (1594 trees/ha) on Tatura trellis during the first decade of orchard life (Elkins et al. 2008). 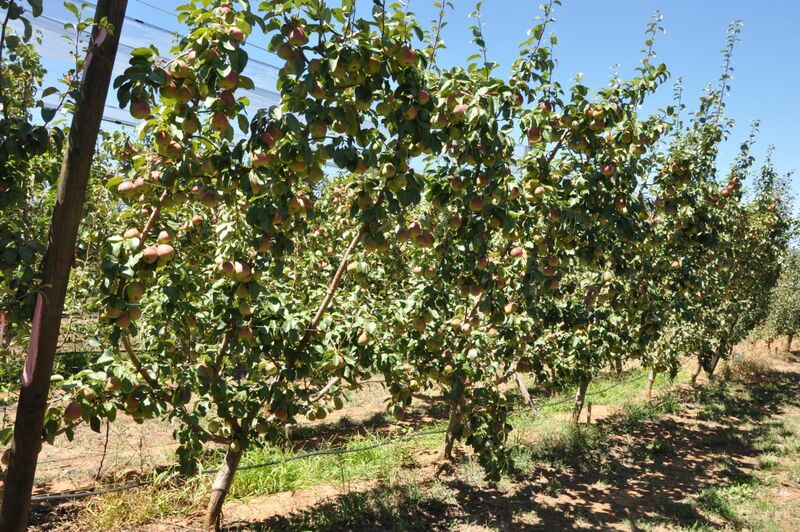 Similarly, comparisons of training systems have reported higher early yields from multi-leader systems compared to single leader trees in some, but not all, experiments (Musacchi 2008, Elkins et al. 2008). 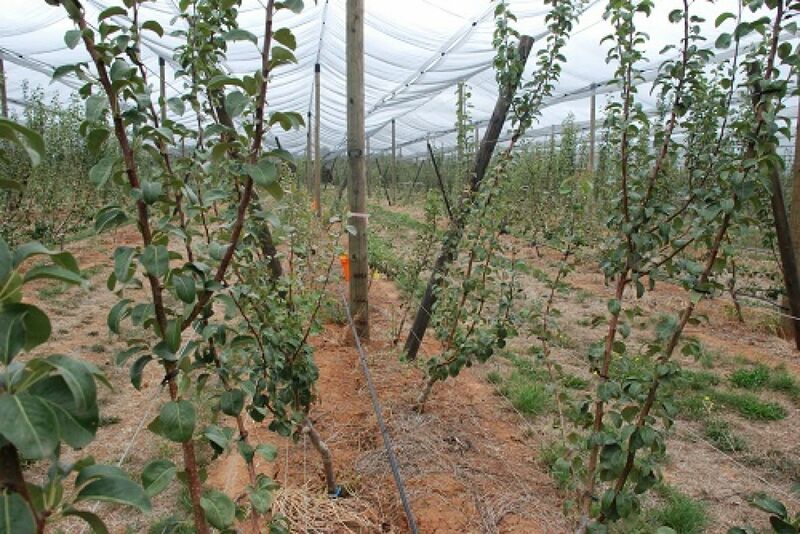 Costs of establishing and managing (including time spent training and pruning trees) each system in the Planting System experiment will be recorded. See table 1 and table 2 for more detail.